Capt. Iv Vidos' achievements and personality reflect well on Croatia. Travels bring experiences and memories that last a lifetime. They give us the opportunities to visit beautiful and interesting places, and meet amazing people. 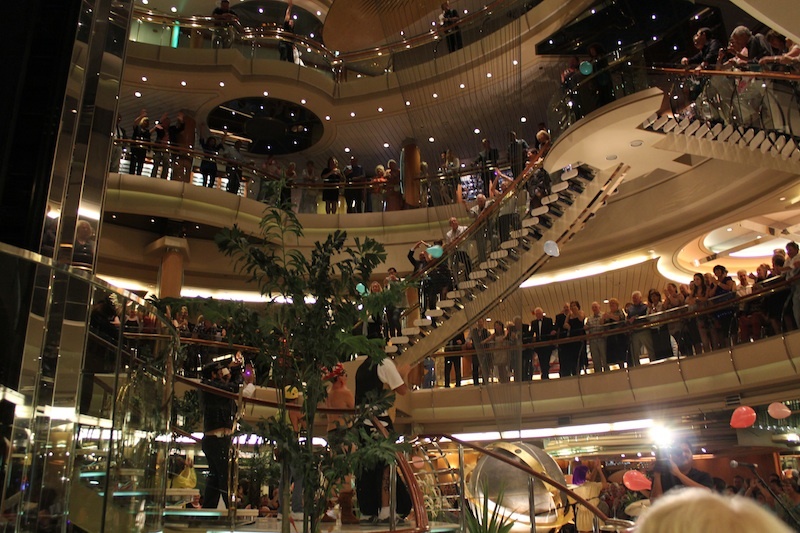 During a recent holiday my husband and I had included a 10-night Mediterranean cruise. In his welcome address I noted that the Captain is Croatian. Captain Iv Vidos reflected in his talk to passengers his great love for the sea and his mission of ensuring the safety and enjoyment of the holidaymakers as well as the staff of the ship. Aside from sharing valuable information and pointers, his good sense of humour came through his announcements before docking at various ports. It is essential that the schedule of the whole trip was followed so everyone was reminded to be back onboard on stated time. He reminded everyone to “bring your camera so that if you did not come back on time, you would at least have a good photograph of the ship as it sails without you.” He also injects his humour when he gives interesting information, by saying “we are now sailing at an altitude of 30 metres – above sea floor level”. Hence I always looked forward to hearing the Captain’s announcements and I made the resolve to meet him personally to thank him for our excellent sailing. In the meantime, I got to know of him through the ship’s “Behind the Name Tags” leaflet which shared information about the ship’s officers. Being born and growing up in the beautiful city of Dubrovnik [Croatia] which has a long tradition of seafarers, Captain Iv followed his dream of becoming a Captain. Like his grandfather on his mother’s side, he graduated from the well-known Croatian Maritime College in 1989 and began his love affair with the open seas. In the initial years of his career he sailed on various merchant ships and had his first command as Captain in 1998. 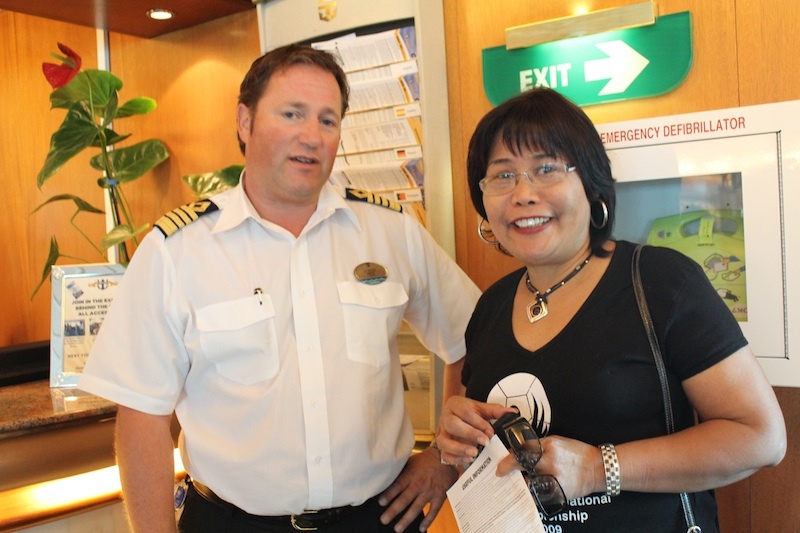 He has been sailing for more than 20 years, the last ten years as part of the cruise industry. When on land with his family, his interests include making olive oil and wine, and when time permits engaging in sports such as water-skiing, tennis, scuba diving, snow skiing and fishing. 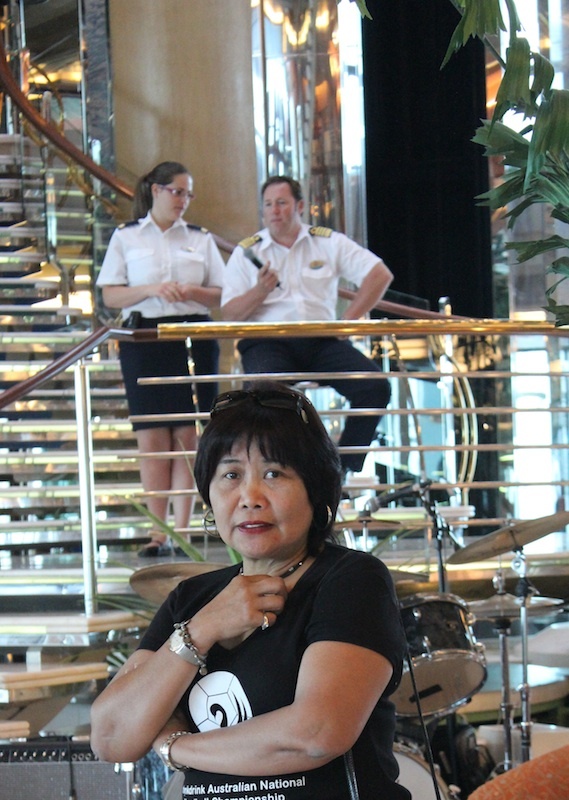 On the last day of the cruise, when we were at sea and no land tours to chase, a question and answer session with Captain Iv was held. The big attendance showed the great interest of the passengers in meeting him and asking him a few questions about the ship and himself. Most of the questions centered on technical information about the ship and sailing. There was also a question which related to the staff [and himself] being away from family during the cruises. Captain Iv explained that they all have relatively short contracts. For example, the ship’s hotel staff is on duty for six months, and off for two; others have four months on and three off. He highlighted that this was much improved from the olden days where officers and staff were away for two years before they go home to their families. As for Captain Iv himself, he enjoys 70 days on and 70 days off; he said that there is no other job he knows where he would be able to have quality time with his for that long. Besides, his love for sailing and the seas is so great that he is able to be the best captain he can be. I met Captain Iv personally after the forum and was further impressed on how approachable and down-to-earth he was. He has a happy staff that respect and think highly of him. He is definitely one of the interesting people I have met whose achievements and personality reflect well on Croatia.